SESSION NOTE ~ We kept Jeff's leash on as it helped him stay in one spot during the session. He wasn't stoked to be there. You may remember the reference to the mirror in Lunar's session? Well Jeff wanted to go into it - or wherever it went. He didn't hurt himself at all, but he kept going up to it as if it would lead somewhere...anywhere but my studio... until Santana showed up. Jeff LOVES his ladies. He and Santana acted like old buddies although I'm not sure they had even met before. (photo at top of page here). His personality changed right away and he relaxed - at least when I wasn't trying to photograph him. You will see the fur growing back on his end after one of his surgeries. Jeff, like his litter-mate ChiChi, had a pretty rough beginning. But Jeff seems to have a more difficult time with humans. 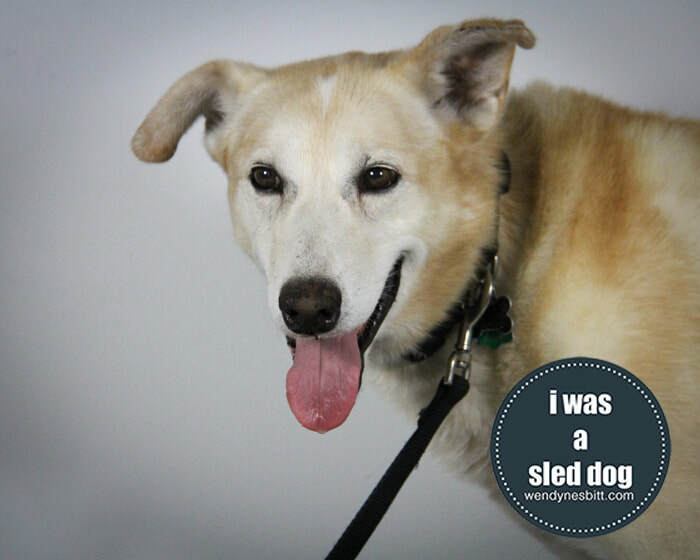 Thankfully, he was adopted by a family who actually went to adopt the least adoptable dog at the shelter one day. It's an interesting relationship and sometimes difficult, but Jeff gets outings, big adventures with his humans and goofy dog brother, loving glances from afar and the care he needs to live a fulfilling life. 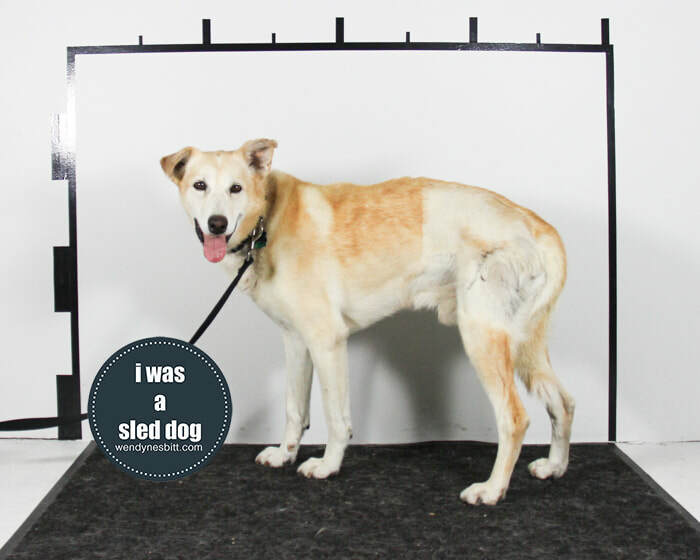 Jeff is a survivor of the Whistler sled dog cull in 2010.